FREE Resource LIbrary Open/Lunar Eclipse Blessings! Happy Full Moon and Lunar Eclipse! Do you struggle to sit in a cross-legged ‘meditation’ position because your knees, back, and hips scream at you the entire time? If you feel pain, are sure your leg will fall off from lack of circulation, or your back is spasming, etc., you have full permission to MOVE!!! Bolster yourself with pillows under the knees, under the bum, try sitting in a chair with feet flat on the floor, or against a wall. You can even meditate lying down or sitting against the headboard with straight legs. The process of meditation is not meant for us to ignore our body and magically transcend pain while causing injury. I’m a firm believer in not injuring yourself to accomplish what you think something should look like or some enlightened state of mind yet you can’t walk anymore. What’s the point of that??? There are NO meditation medals handed out for ignoring your body. I recently completed two 90 day meditations. 30 plus minutes/day for 90 days straight of sitting in easy pose led to the inability to straighten my leg!!! 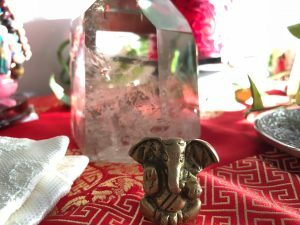 I had to be super mindful, listen to my body, use my tools, see a bodyworker, and every few minutes or so move. Within a week or so my knee was doing great. Moral of the story, the body is meant to move, whether you are a teacher or student, and even if something feels comfy, chances are moving a bit here and there will benefit us deeper in the long run and our students. If you’re interested, here’s my Facebook Live on this. And as poetic as this sounds, REMEMBER it’s a scientific fact with plenty of info for you to geek out on via Google University, we are quite literally made of Stardust. The Iron in our blood, the Oxygen we breathe, the Calcium in our bones came from the stars. The elements that give us life are born from the stars own cycles, and because we literally ARE Nature and The Universe, we can use these special times in cosmic cycles to deepen our connection to ourselves. An Eclipse is an extra potent emotional reset and a great opportunity to go within in meditation. It’s in Leo, so summon your inner courage to show up for yourself in a way that speaks to you. In meditation, we can begin to taste our courage, our voice, our abilities, and just maybe we see we’re NOT a hot mess and ARE capable of doing this thing called life! I’ve opened up my FREE Resource Library for you to explore, learn, meditate, and hopefully remember how amazing you already are. You simply need to slow down and go within to know this. This past week we’ve been working on the beta version of my online studio! I can’t wait for you to see it! Is it normal to be smitten with your own website??? I continue to learn SO much on this online journey. I remember my beginning days of trying to figure it out on my own, thinking I could just put the videos up on my site and what’s the big deal? LOL! Well, I quickly realized there’s a lot more to it than that. 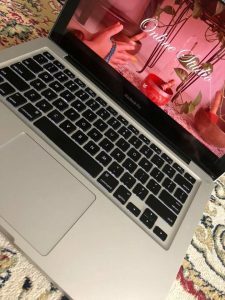 I began learning and researching, found an online platform and launched my first online studio on Powhow. I began Skyping with my clients when they left for the season, gained my first client across the world, and another Universe seemed to open. A year later I found Namastream. I’ve met so many amazing women through this community and what I’ve learned is priceless. From the beginning, it’s been my goal to give YOU a great experience on my site and have everything right there at your fingertips. It’s now happening! 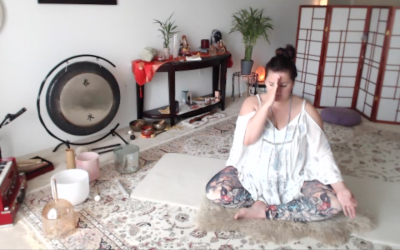 I’m sad it’s my last month at Namastream, but I’m over the moon about my Online Studio FINALLY moving home where she belongs at thedancingsoul.com! I’ll have more details for you soon!!! I can’t wait to move and meditate with you from my home to yours, and from ANY device that suits your fancy! This is perhaps my favorite thing to teach, so just join us already! (Livestream classes are canceled from 2/10-3/9 as internet access will be limited. Copyright 2019. Tanya Clark. All rights reserved. Struggling with starting/sticking to a daily meditation practice? I've created a downloadable FREE 40~Day Meditation Survival Kit with some insider tips. Join my newsletter to grab your kit and information about my private FB accountability group to develop and love your daily practice.